Lamborghini expects the Urus, shown here in concept form at the Beijing auto show, to become its best seller if produced. "Editor's note: An earlier version of this story reported that Lamborghini would add 11 new stores in China, to reach a total of 25. The automaker will in fact add an extra 6 dealerships to reach 20. Lamborghini plans to add 6 stores in China this year for a total of 20 dealerships -- a sign of its commitment to the market despite flat sales this year. In an interview with Automotive News Europe, Lamborghini CEO Stephan Winkelmann was optimistic about Lamborghini's prospects despite flat sales in China for the year to date. While the automaker's sales are off to a slow start in China, he said he expects double-digit sales growth in Asia this year. 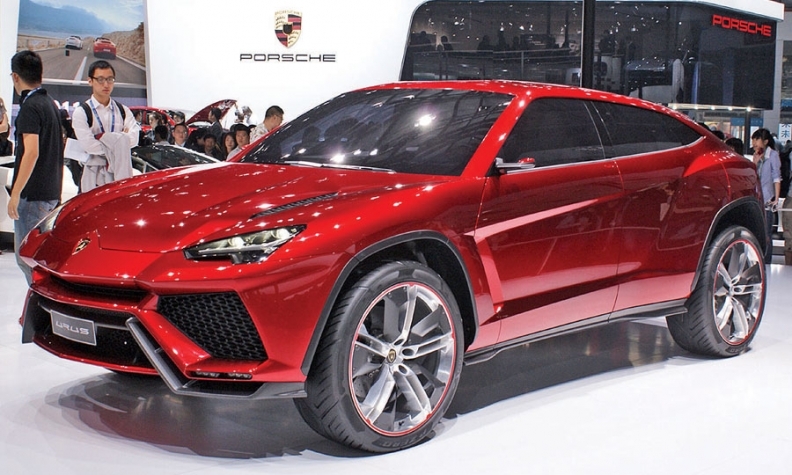 Lamborghini could receive another boost in China in a few years if it decides to build the Urus SUV concept, which it unveiled last month at the Beijing auto show. The automaker expects the SUV to become its top-selling model because of strong demand in China, the United States, Europe, Russia and the Middle East. Sister brand Bentley and Italian rival Maserati also plan to enter the SUV niche. They all hope to match the success of Porsche, which now counts on its Cayenne SUV for more than half of its total global sales. In China, industry sales of SUVs have soared as automakers introduce new models. If Lamborghini receives approval from corporate parent Audi, the Urus would go on sale late in 2016. The Italian automaker believes the SUV would help it boost global sales to 5,000 units a year. Last year Lamborghini had global sales of 1,600 units of its current models, the Gallardo and Aventador coupes and roadsters.